After Debuting in 9th of September of 1999 the Dreamcast was Sega's first 6th generation console in the North American Market. Titles ranging from Power StoneTM series and ShenmueTM were some fantastic and ahead of their times! This was the first officially gaming console that featured an online community with titles such as Phantasty Star OnlineTM and NBA2K2. 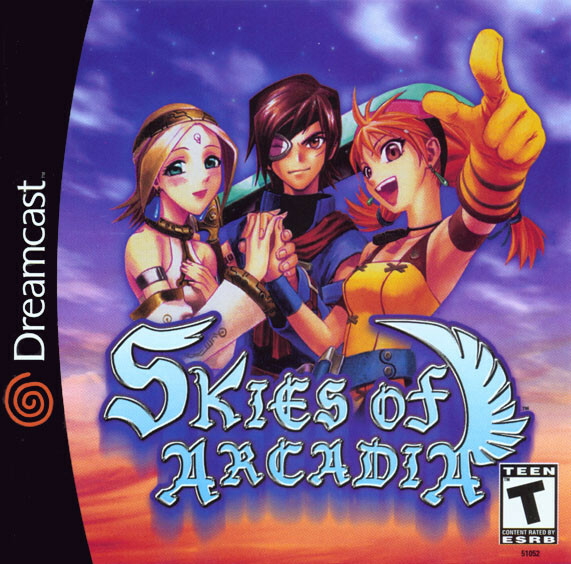 Skies of Arcadia is the Final Fantasy of the Playstation or the Halo of Xbox! There even was a sequel on the Original Xbox of this classic game! 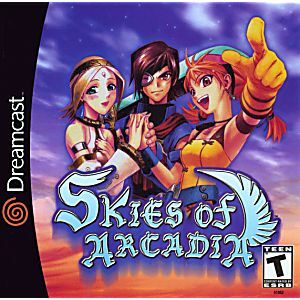 The Mechanics is not like your typical strategy game, there is endless opportunity to combat enemies and storm the skies of Arcadia! Give it a stellar try what else would you want to miss a great opportunity to invest in nostaph is? Ordered SOA off Lukie games and the game was almost in mint condition. The game was also very cheap comparing to other sites and stores. Good job Lukie. I totally recommend Lukie games.